Environmental problems have brought a big attention in the last few decades. Irreversible extraction of natural resources and different anthropogenic activities are acting as catalyst towards the issue. Now environmental issues have become a social problem not only for a particular country but also for the whole world. The sensitivity to the environmental and ecological problems and the investigation of the solutions of these problems have become a common idea of the humanity. The extensive research, integration of ideas and sharing the experience to handle the problems of the environment is the basic and primary solution . For this reason, we are going to host again GREEN INSPIRATION-2016: SEASON 2, 2nd International Nature Summit . It’s a great honor for Notre Dame College, Dhaka, Bangladesh to host the 2nd GREEN INSPIRATION. I am very pleased to invite the delegation from your institution to participate in GREEN INSPIRATION 2016, a nature oriented fest , which will be held on February 12-13, 2016. The main objective of this event is to inspire and expose the young minds to green movement through lectures, quiz competition and interactive sessions by the eminent scientists of the country. This nature summit promises incredible two days of experiences, memories, and lifelong friends. It is a one-of-a-kind intellectual, educational, environmental and social conference that brings together the greatest assortment of young minds from around the globe to engage in green movement in order to save our only planet where human being can survive. The GREEN INSPIRATION competition has been launched in response to the sustainability and climate change challenges that are high on the global agenda. Young generation can and must continue to contribute to the development of technological solutions that respond to global challenges. GREEN INSPIRATION challenges students to think innovatively in their projects and courses when working to find solutions. § Environment – toxicology, environmental monitoring and monitoring/reducing emissions or effects of emissions on our environment; § Climate technology – reducing climate impact, monitoring sources and climate changes or dealing with the effects of climate changes. GREEN INSPIRATION-2016 includes fifteen different level of competitions for the participating students out of which three for the University Categaory ( Undergraduates & Graduates) , Six for the Higher Secondary Category (15yrs-18 yrs or Class XI & XII) & Six for the Junior Category (12yrs-15 yrs or Class VII & X) . The team may comprise of maximum eight Students, accompanied by a teacher, who will be the team leader. We would like to extend our special invitation to the institutional head of the participating institution to be our Guest of Honour. Event details are as follows– For University Category: Confab seminar (Power Point presentation), Green Bee (Nature Olympiad) & Photography. For Higher Secondary : Transformation (Turn Coat), Confab seminar (Power Point presentation), Green Bee (Nature Olympiad) , Eco Friendly Project , Wall Magazine, Slogan & Photography . For Junior Category:Slogan, Nature Olympiad, Confab seminar,Eco Friendly Project , Wall Magazine & Photography. As we can accommodate a limited number of teams only, you are requested to send the completed Confirmation & Registration Forms latest by 5th January & 15th January 2016 respectively. Any participation fee will not be required for GREEN INSPIRATION. We will provide your delegation with lodging and catering during competition in Dhaka. You can check our website: www.greeninspiration.weebly.com for the latest news. As always, please feel free to reach out to us at greeninspiration@yahoo.com f you have any questions. We warmly invite you to join us in February 2016 for the most memorable GREEN INSPIRATION experience yet. I look forward to seeing you all on February 12,2016 in vibrant Dhaka, Bangladesh! Welcome your delegation to Bangladesh! Looking forward to hearing from you soon. Fr. 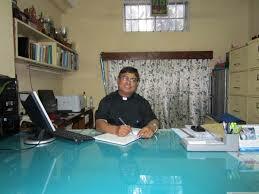 Dr. Hemanto Pius Rozario, C.S.C.